Beijing has been ratcheting up its rhetoric over Taiwan all year, ever since President Xi kicked off 2019 with a speech calling for the "reunification" of Taiwan with the mainland, which provoked a fiery response from Taiwanese President Tsai Ing-wen. So when the US approved the sale of 70 new F-16s to Taiwan, crossing one of Beijing's "red lines", and further straining Washington's relationship with Beijing at a very delicate time, when there's a lot on the line for the global economy and markets. Yet, in the latest hair-raising warning that the markets will almost inevitably ignore, one of the Communist Party's most visible mouthpieces just warned that Beijing "will definitely retaliate" if the sale is completed. Whether that retaliation might come via the trade war - or an actual war - was left ambiguous. Though the State Department hasn't officially given its stamp of approval, media reports suggest the sale is all but assured. China's foreign ministry has already registered its displeasure, Bloomberg reported. "China’s position to firmly oppose arms sales to Taiwan is consistent and clear," Chinese Foreign Ministry spokesman Geng Shuang told a regular news briefing Friday in Beijing. "We have made stern representations to the U.S. We have urged the U.S. to fully recognize the sensitivity of this issue and the harm it will cause." 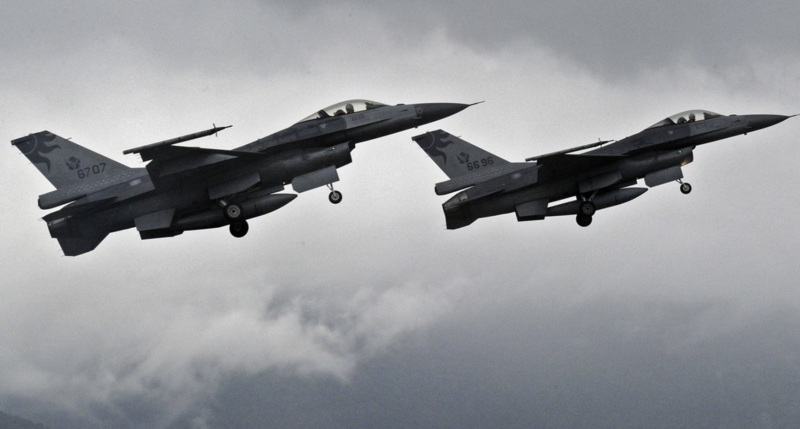 While it's unlikely, Congress now has a 30 day window during which it could opt to block the deal, which marks the first US sale of fighter jets to Taiwan since 1992, when the Bush (senior) administration sold 150 F-16s to Taipei in the wake of the Tiananmen Square massacre. The Obama administration rejected a similar request from Taiwan. In addition to the fighter jets, Taiwan has also requested a purchase order for 108 American-made battle tanks. Mark Harrison, an adjunct director of Australian National University’s Australian Centre on China in the World, told BBG that China's retaliation could come in several forms, be it trade, or more heavy handed interference in Taiwan's upcoming election, where Tsai's pro-independence party is sagging in the polls. Since his inauguration, Trump has pursued a military policy of steady low-level antagonism to keep Beijing's expansionist vision for the Pacific in check. The US has carried out several controversial "freedom of navigation" operations involving US destroyers sailing through the South China Sea, as well as missions involving B-52 bombers flying through the islands' air space.